Caldari Ships are some of the most known “mission runners” out there, often being capable of completing missions tier higher that they are made for. 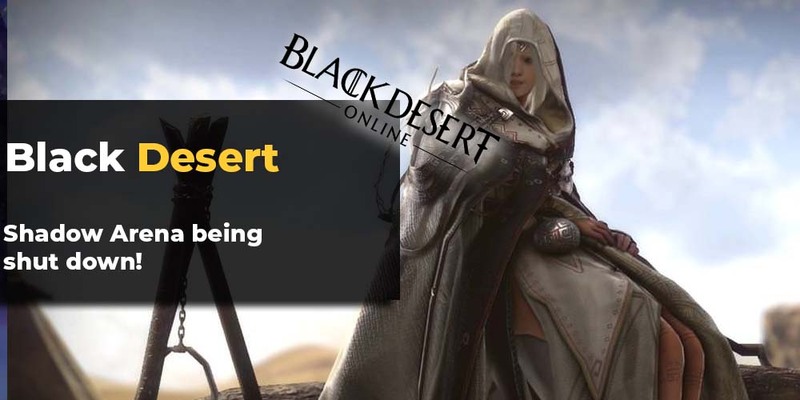 When Black Desert Online released Battle Royale mode in February some people thought that this is a beginning to the new era for MMORPG. As Shadow Arena has been shut down in 10th of April it might look like this era was not alive for long. Liberal Gallente Federation show their approach to social policies even in their ship design. Gallente ships are one of the most versatile hulls out there. Visually Gallente ships are curvy, smooth and asymmetrical in shape, some call them “squid ships” or “sushi fleet”. Federation ship hulls usually have bonuses to hybrid turrets, active tanking and drones with only two ships in their roster having bonuses to missiles: Lachesis and Nemesis. Moon Mining in EvE Online is a process of harvesting raw materials using refinery upwell structured anchored around one of the moons in EvE Online. Any refinery deployed at Upwell Moon Mining Beacon has an ability to fit a Moon Drill that will tear out huge parts of the moon and then blow them into asteroids that can be then mined by players. Drones are your little helpers in EvE Online. Those semi-automatic little crafts can perform a variety of tasks, from providing you with additional firepower to repairing your fleet or salvaging wrecks. Orca is a mining fleet support ship which is a class of its own: Industrial Command Ship which requires Industrial Command Ship skill to fly. Even tho Orca is listed under Captial Industrial Ships it does not Capital skills to fly. Combat Sites are one of two most well known PvE combat activities to perform in “Known space” or “Imperial Space”, other being security missions. Combat Sites can be found all over New Eden and just like missions you get from the Security Agents, the type, number and variety of enemy ships found in a specific combat site is always the same for that particular site, with very small random factor (also called “escalations” but we will talk about it later). EvE Online Project Discovery is a “citizen science” project contained within EvE Online available to all players as soon as they create a character. Thanks to this unique module, capsuleers can participate in major scientific research by analyzing scientific data provided in a form of a mini-game. This project is under development in cooperation with the University of Geneva and Reykjavik University as a part of the European Union’s Horizon 2020 research and innovation programme. Exploration has become one of many viable ways of earning your upkeep in EVE Online. Looking for hidden sites and treasures stashed within can be both exciting and dangerous. For many, exploration has become the main activity in New Eden. There are many EVE Online Exploration ships design to aid explorers in their ventures and we can generally divide them into five “types”: T1 Faction Frigates, T2 Faction Frigates, Sisters of EVE Online ships, Strategic Cruisers and “miscellaneous”. We will briefly go through each type. Corporations are the lifeblood of EvE Online. EvE Online corporation at first resembles something, other MMO titles, would call a guild but that doesn’t scratch the surface of what corporation actually is. In this article we will focus on basics of creating, recruiting and managing an organization in EvE Online.